X+1 and Ela came, saw, got conquered by this restaurant *hihi In the collage: Samosas, chola massalah, another masala like dish I don’t remember the name of, chicken malai boti, Greek yogurt with all the possible toppings, and a glass of lassi. With a more lemony tang to it, salad sherazi was another salad I enjoyed at Chef. =) Lots of cucumber bits tossed in with ensalada ingredients and bits of parsley, this reminded me a bit of Ms. C‘s cucumber kimchi where she just adds cucumber cubes, vinegar and fish sauce to kimchi she purchased. This one doesn’t have as much of a kick, but I’m all for it. There’s a handful of choices for dips at this Halal food joint. We went for the mutabal, a dip I’ve never heard of before. It tasted like babaganoush, what with it being made of grilled and mashed eggplant but a bit more on the sour side. I guess that’s the yogurt. Race liked it for its smokiness and my, did that smoky flavor come through in this mush. Chai: If you’ve ever put milk in your hot tea like you would creamer in coffee, (I do that a lot but I heard it’s an acquired taste for some), this is just how this Indian drink tasted. It had a hint of ginger in there, too, like it was given a touch of salabat powder. The menu. Three cheers for having almost the same menu from the Himalayan joint! Chicken malai boti, hello, hello! Great with plain basmati rice with its beautiful long grains, we picked out mutton curry (a globally famous creation) on our first Chef Restaurant visit and then vegetable masala on the next. When asked for the level of spiciness with the curry, we went for ‘mild’ and it was wonderful. We skipped a beat and wondered why it didn’t look curry in color but that question was soon forgotten as soon as we got a bite of the tender tasty protein and once we savored the sauce topped on our rice. Y-U-M! Another dish, I could live with, just having the sauce. First time at this eatery, I sort of went into a frenzy ordering this and that since Chef’s line up of food is easier on the pocket. The only available dessert then was the gulab jamun (The only one with a description so still major curious to try the other sweet treats). What a fun dessert to eat! Race and I halved the bread ball (that looked like a wet chico/kiwi) which reminded me a lot of kopi roti in its consistency. All the air pockets in it seemed to have filled up with the spiced syrup. (“,) The warm sauce tasted like salabat again and was really delectable. Chicken biryani … a plate for dine in and an order for to go. *hee Such long grains, it looks like pancit at quick glance. Second visit, I zoned in on biryani (and the vege massalah. Must be why I ended up fanning my mouth since both were flavor packed dishes). Ahh, how I love fried rice (doubles up as entree) and this really takes the cake. With a generous helping of chicken pieces and all the herbs and spices, I could eat this all day, too. In fact, I tried. I had this plate for late lunch and we got two orders more to go for dinner … err, early dinner … as soon as we got home, I had my spoon ready. =)) And that garlic sauce was a life saver. It cooled my mouth for sure with the lemon juice still alive in every precious drop. I also used it as a dip for the take out chapati … since they forgot to put the half of what was left of our veg masala in the take out bag. Oh, well, caramel. X marks Chef Indian/Pakistani Restaurant for good food in Baguio. “Five star menu”, I’ll drink to that! Price: “At Chef, they are so confident of the quality and taste of their offering that they promise a MONEY BACK GUARANTEE, if you are not satisfied with your order.” I’m quoting their resto description there. ***Thank you so much, Ms. Tina of Kharis Bakeshop and Cafe for telling me about Chef Restaurant! First to comment??? Naramdaman ko na magpopost ka ngayon kaya nagantay ako. hahaha Loves ko din ang biryani!! Makapunta nga dyan sa Chef Restaurant for spicy Indian food pag hindi na maulan bukas. YES! First to comment crown back on Mario’s head. \m/ Whoa, you’ve got a strong intuition. I hope you didn’t have to stay up too late waiting for the post. Di kami natuloy pumunta sa Chef. Kalowka yung weather. Uulan, aaraw. No worries not getting to Chef’s today. Was just there and they were waiting for deliveries of ingredients so we had to play the what’s available today game. =b I did get my biryani though so I’m good. The weather was kind of wonky today … it’s even hot. Still hoping Typhoon Lawin doesn’t come in, maybe just stays in the water? Yes!!!! Another Indian restaurant in Baguio and so many kinds of massalah. 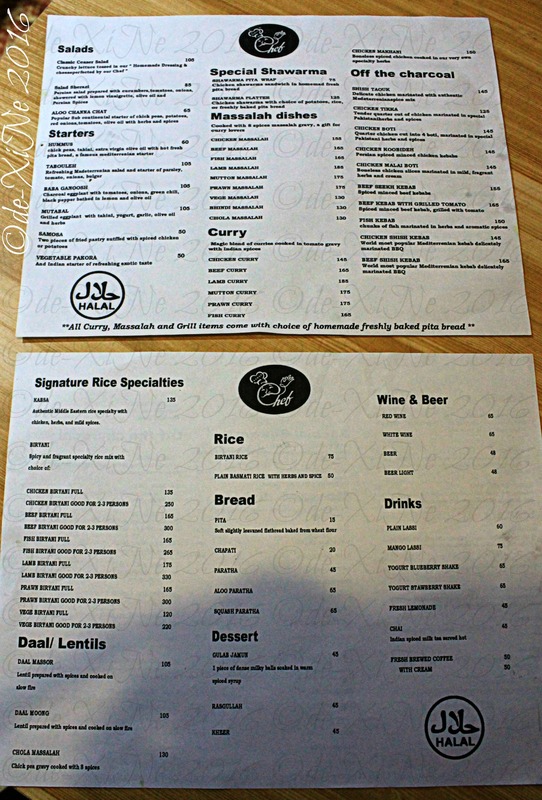 Thank you, Find Good Baguio Foods for finding and featuring new restaurants like Chef Indian Restaurant. Hello there, Tess! I know right. Chicken, beef, lamb, even fish and prawn masala. Ate X hi. we went here to Chef Restaurant when we saw your post about biryani but many dishes were not available. Its okay. The dishes we ordered was very good naman. Hello! 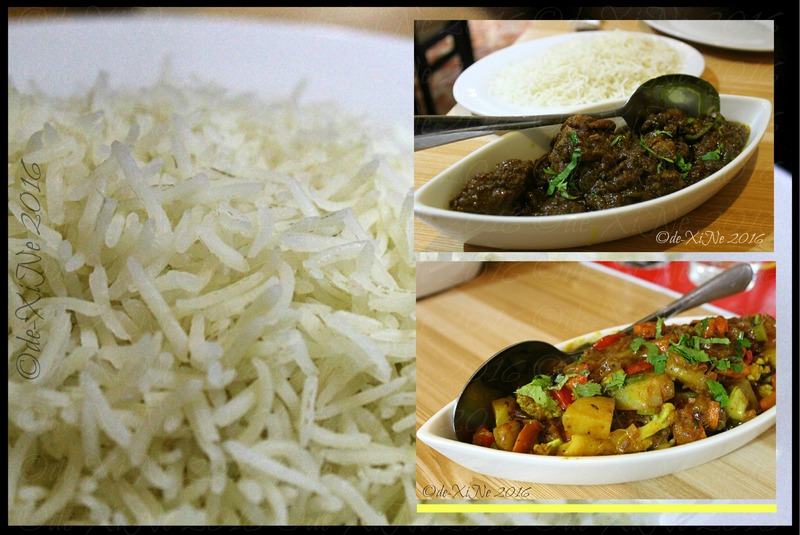 My foodie lovies and I went back to Chef Mediterranean resto as soon as I got that post on biryani up on the Find Good Baguio Foods FB page too. Yes, some of the stuff we ordered weren’t available also. Must be a stock delivery issue since it was just after Typhoon Karen that we went. *heehaha You’re the fifth person who’s told me that. You are not alone in the addiction to Chef Restaurant and their scrumptious Indian/Pakistani/Arabian/Mediterranean food. And yes, good thing their prices are not outrageous. Our money goes a long way.